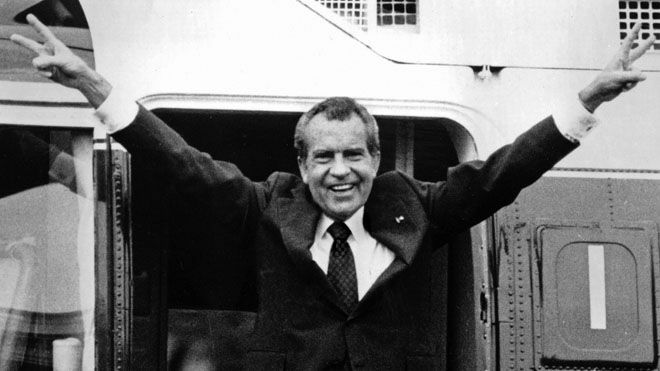 Why I Invest In Gold: I Remember Nixon, Do You? 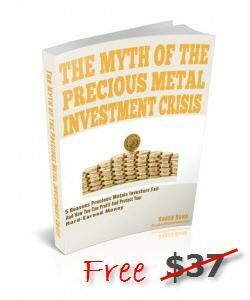 You are here: Home / Buy Gold / Why I Invest In Gold: I Remember Nixon, Do You? I invest in Gold for the long haul, to preserve wealth over time and generations. Yet I also invest in Gold because I can remember Richard Milhous Nixon. My parents could remember FDR. When the government gets in trouble – do you think a trillion dollars is a lot of money to be indebted for? (Oh, yeah, it’s OK because we owe it to ourselves…) – governments start messing with the currency. To be specific, they devalue it. Right now the US Dollar is high in part because the U.S. is losing a worldwide game: a game called “race to the bottom” – with your currency. Countries want a weak currency so that its exports will be cheap to other countries, and conversely imports will be expensive encouraging the citizenry to buy local. Yet as soon as you devalue for that end result, your neighbors do the same. Then you devalue – again. Then they respond in kind – again. 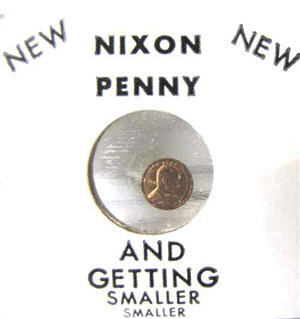 Somewhere I think I still have my Nixon dollar and Nixon penny. What I also remember is a social event with a family who had two daughters several years apart. This was sometime in the mid 1970’s. The younger girl was telling everyone about the dollar she got from the tooth fairy. The older girl quickly chimed in: “A DOLLAR! I only got a QUARTER from the tooth fairy!”. Yet, we were not laughing about inflation. While the Federal Reserve thinks 2% inflation in “healthy”, I have heard very few economists sufficiently explain why there should be any inflation at all. John Mauldin comes the closest. Yes, a 1969 Oldsmobile full size sedan at $4500 does not have all the bells, whistles and comforts of a new 2016 $45,000 sedan. Yet it not only had air conditioning that worked far superior to the newer car (less eco-friendly but better working freon) it would also do a quarter mile in 15.3 seconds at over 90 miles per hour. No, it did not get good gas mileage, but gas was 33 cents per gallon. Stations had “gas wars”. Do you really think the 2016 sedan is 9 TIMES BETTER than the 1969? I had more leg room in the ’69. And if you believe ER Physician Doug McGuff, M.D. then the 5000 pounds of the ’69, despite lacking air bags, is a better bet in a crash than many newer cars. Inflation will likely return suddenly. 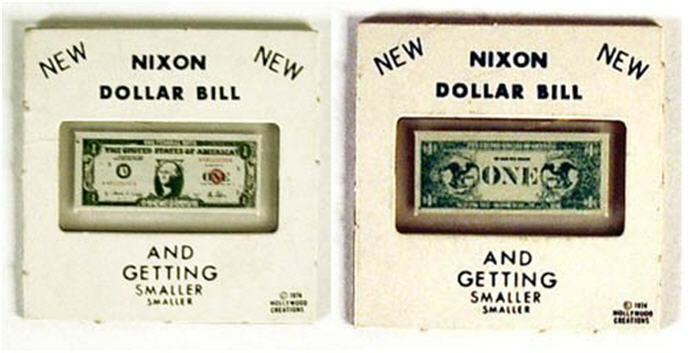 Remember, governments deny until they do – on a weekend – just like when FDR confiscated Gold in the 1930’s and devalued the dollar as soon as he had everyone’s Gold; and as Nixon did when he “closed the Gold window” that France had been taking full advantage of to dump dollars in favor of Gold. There is not enough Gold for everyone. As Warren Buffett has famously stated, all the mined Gold in the world would fit into a cube 68 feet per side. Smaller than a tennis court. When you (and everyone else) finally decide to buy, the price will be headed to the moon and actual physical Gold will not be in stock at your local coin shop. You can bet the scammers will out in full force offering to sell you all the Gold you want at these highly inflated prices. Do you know how to spot a fake Gold coin, or have the equipment to do it? Mr. Buffett is also famous for saying the Gold does not pay interest or a dividend. Worse yet, you have to pay someone to store Gold unless you want to accept the risk of loss by storing Gold at home. Cash, on the other hand, does pay interest. Back the truck up! as Tim, the toolman, Taylor used to say. In the U.S. we can still get a few pennies per year on that Jumbo CD. Yet across the pond in Europe interest rate on not just bank deposits but also government bonds have gone NEGATIVE. In fact, rates are so negative in Europe that it now costs just as much to store cash as it costs to store Gold! Yes, some of the Gold I own is owned at higher prices. Some is owned at prices a fraction of the current spot price. I’m holding, thank you very much. Unlike the dollars in my possession, I know what the purchasing power of the Gold I own will be worth in 30 or 40 years when I (as per actuarial tables) pass it on to my heirs. And that is why the rich own Gold. Not to make them wealthy, but to preserve wealth. We don’t all have the Midas Touch with investing that Mr. Buffett has. And quite frankly, Berkshire Hathaway is not that shareholder friendly for us to invest alongside him. As Simon Black points out, Mr. Buffett voluntarily pays too much in tax to the U.S. Government because that’s his personal philosophy (easy when you are worth billions). Yet it should be pointed out that much of the money Mr. Buffett voluntarily pays to Uncle Sam rightfully belongs to Berkshire shareholders. It’s easy to be generous with someone else’s money. What will you do TODAY to preserve your WEALTH?